Claim to Fame: Courthouse / County seat and the Carlisle Events Auto Shows. The Old Cumberland County Courthouse, located in downtown Carlisle, was built in 1846 and is a brick structure with an impressive bell-and-clock tower and sandstone columns. Currently still in use, the Courthouse is open Monday through Friday from 8 am to 4:30 pm and houses several county offices. 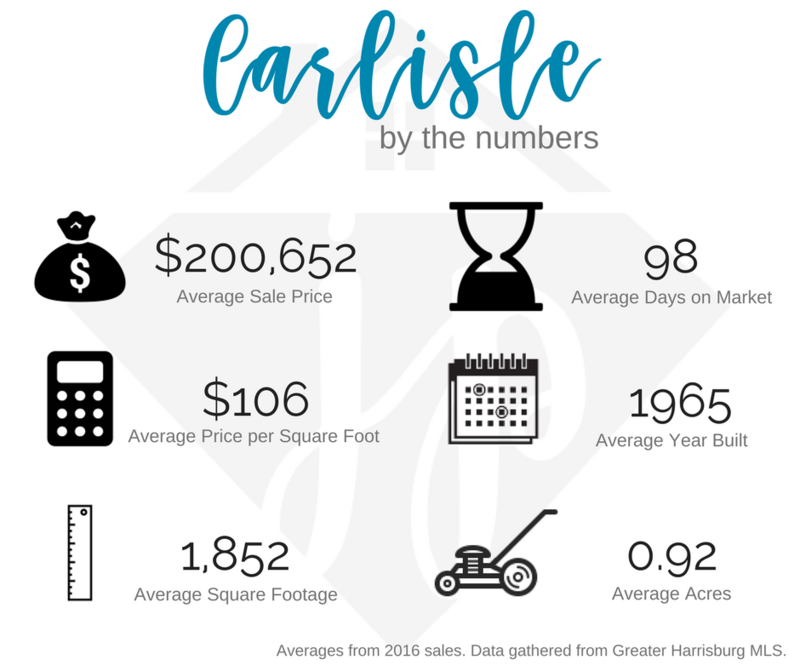 The town of Carlisle is famously known for the Carlisle Events Auto Shows that take place every year at the fairgrounds. Thousands make the trip for the annual swap meets, auctions, industry celebrity guests, downtown parades, and specialty shows like the Sports & Outdoors Show and Truck Nationals. Carlisle is noted for its restored architecture and tree-lined streets–once walked on by George Washington, Molly Pitcher and other icons of early America. If history is your passion, this town offers landmarks, museums, a retro movie and performing arts theatre, and a Civil War augmented reality walking tour that allows you to use your smartphone or tablet to see history with new eyes!